The family, relatives said, moved to Bengaluru 20 years ago when Joseph got a job with a private company in the city. They have been living in Munnekolalu, near Doddanekundi.Joseph learnt about the accident only around 4.30pm, said a relative. “We were still at Joseph’s brother’s house, consoling his family. 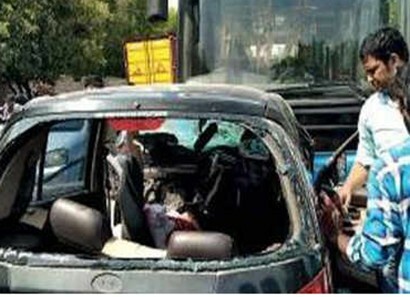 At the time when traffic police called us to inform about the accident, we did not know all of them were dead,” the relative said. Levin had just returned to Bengaluru from Dubai, where he had been working. While reasons for his return could not be immediately ascertained, relatives confirmed that he had been hunting for a job in Bengaluru. Police said postmortem examinations will be conduced on Thursday, after which the bodies will be handed over to the family. While both the vehicles have been seized, the driver has been detained for questioning, police said. 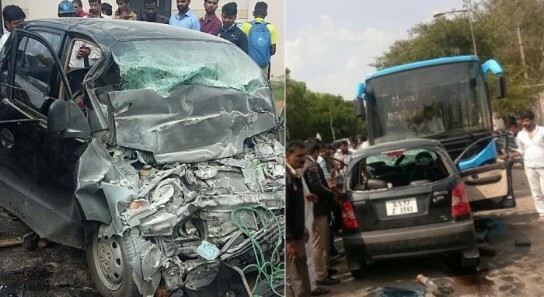 The bus was supposed togo to Kempegowda International Airport (KIA) from HAL airport bus stand.